Riding on happy bleepy bloop waves (you kids and your newfangled electronic music) from their latest album release, Monkeytown, Berlin duo Modeselektor have churned out even more greatness with their Essential Mix from last Saturday. I'm certainly a follower of BBC Radio 1's Essential Mix, but it's only occasional that one really gets me excited, and this mix is worthy of posting for sure. You can find the tracklist and a stream on BBC Radio 1's website for a few more days, or stream or download the mix below. This mix features Modeselektor's own originals and remixes as well as tracks from varied, fresh artists like Zomby, Surgeon, Plastikman, Blawan, Untold, Instra:Mental, and many more. You won't even realize that it's two hours long. The best way I can describe the commonalities that bring this mix together is that it's all the music of the future — these are artists who, within the electronic field, are doing something new and different. There's a dark, bass-laden undertone to these tracks, and even if Modeselektor's production isn't your cup of tea (or milk), there's probably something for you here. 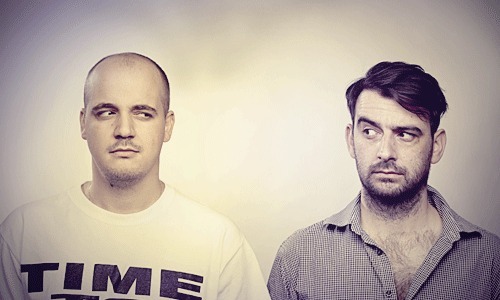 And if you're a fan of Modeselektor, it's awesome discovering the diversity of their roots. Chances are, no matter who you are, you'll fall in love with a few new tracks in this mix, and it's not stuff that's been rehashed a million times. Great mix but what is the really bassy song right at the beginning as Pete Tong begins speaking?